Previously we have written a comparison between several WordPress Support plugins. But, this article is written keeping Woocommerce in mind. This article is for you if you are a WooCommerce store owner and is looking for a helpdesk solution. Ease of Use: Is a support agent able to use the plugin easily? Automation: Does it offer automation for certain cases? Knowledgebase: How well does this plugin utilize Knowledge Base? Reports & Performance: Are you able to effectively monitor the performance and satisfaction ratings of your customers? Compatibility with other extensions: How is this plugin going to play with the existing plugins you are using? Cost Effectiveness: Is it worth the price-tag? WCSTS provides a very basic interface and uses the default WordPress TinyMCE editor. Its interface does look familiar but when it comes to customer support interaction, a conversation like an interface is always an upper hand. 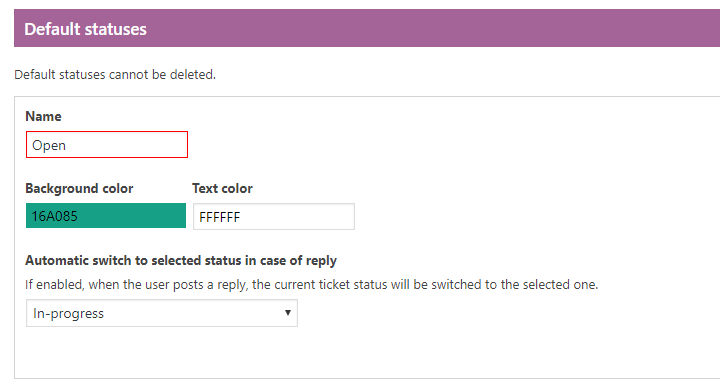 Even the ticket submission form in WCSTS is very basic and doesn’t provide any customization option. One good thing about their interface is that it displays most of the important information in the preview like ‘priority’, ‘who replied last’, the ‘last reply on’ and ‘opened on’. Then, the ‘customer details’ is another nice feature of this plugin. On opening a ticket, the support agent can view the complete customer details and on clicking on “Order List”, he would be directed to the complete order list from the particular customer. The plugin has three levels of tickets – Order Ticket, User Ticket, Pay per Ticket. That adds some sort of confusion. 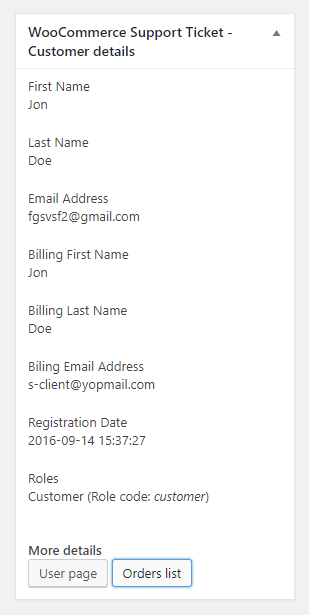 The admin side setting area too is cluttered and not use to understand without the documentation. WSDesk, on the other hand, provides a complete conversation like interface. It cannot be stressed enough that its interface is quite advanced when compared other WordPress helpdesk plugins. 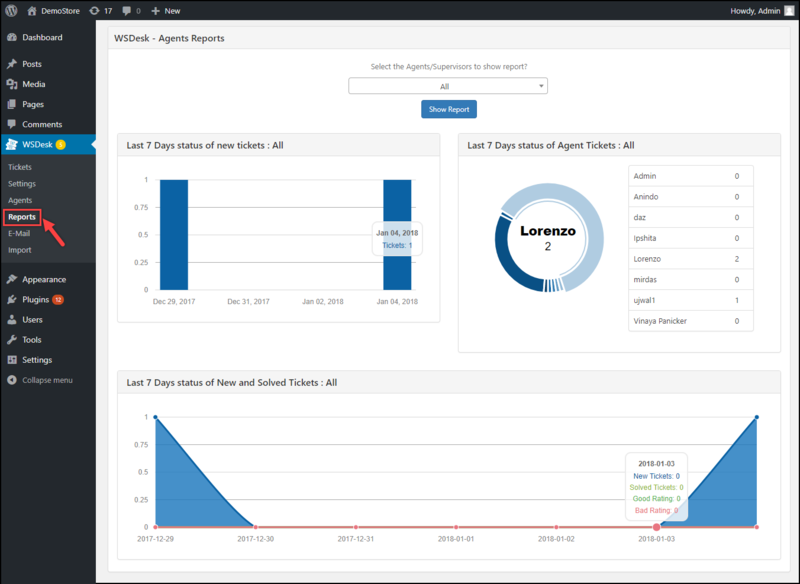 Once you are inside the WSDesk ticketing dashboard, it would give you the feel of using an advanced cloud-based customer support software like Zendesk or Helpscout. WCSTS is sort of devoid of any kind of automation except the email notifications and automatic status changes. Even the available automation of status changes are not customizable enough. Automation in helpdesk is not something we can let go. As your store’s ticket count increases, unavailability of automation can make your entire support system unmanageable and ultimately bring havoc to your company. It has been proved time and again that a support system works best when the correct proportion of automation and manual intervention is employed. WCSTS’s one prominent feature can be mentioned here. Which is ‘Pay per Ticket’. With this feature, you can attach a number to each product in order to limit the number of tickets a customer can raise corresponding to that product. This is achieved through a shortcode which you can find in their product page. This can be given as a basic automation. On the other hand, the automation in WSDesk is one of its highlights. The ‘Automation & Triggers’ in WSDesk empowers you with immense possibilities. Details of which have been discussed in this article. As you must know that, WSDesk has an inbuilt knowledge base which activates itself when ‘Auto-suggestion’ is enabled. Let’s see what WCSTS offers in this regard. Well, there’s actually none! Yes, WCSTS doesn’t come with any inbuilt knowledge base. So, you would have to get a separate plugin in order to create a knowledge base for your website. The knowledge base is another of that feature which you can’t really ignore because nowadays customers do want self-help and you would also want to reduce your ticket count. This one is yet another feature missing in WCSTS. You don’t have any way to analyze your support agent’s performance and the stats related to how many tickets you are receiving, corresponding to which products etc. WSDesk, on the other hand, provides you with a detailed analysis of 7 days tickets stats. WCSTS comes at $25 for 6 months and WSDesk comes at $89 for1 year. Sure, WCSTS is much cheaper, but can you compromise for the feature unavailability part? Basically, at $25 you get a basic ticketing system with some of the required features. This can be suitable for small business but as your business grows there are certain features you can’t do without. That’s where WSDesk comes into play. And if you are a small business, you can even do with the free version of WSDesk and upgrade it to premium version only when you need to.